After three days of helicopter-based collecting up the Churchill River, we were planning to start today on a few days of fieldwork close to Churchill. The helicopter work was strenuous at times, with slogging up creekbeds and carrying fossil samples up steep slopes, so I was looking forward to driving to some of our study sites. 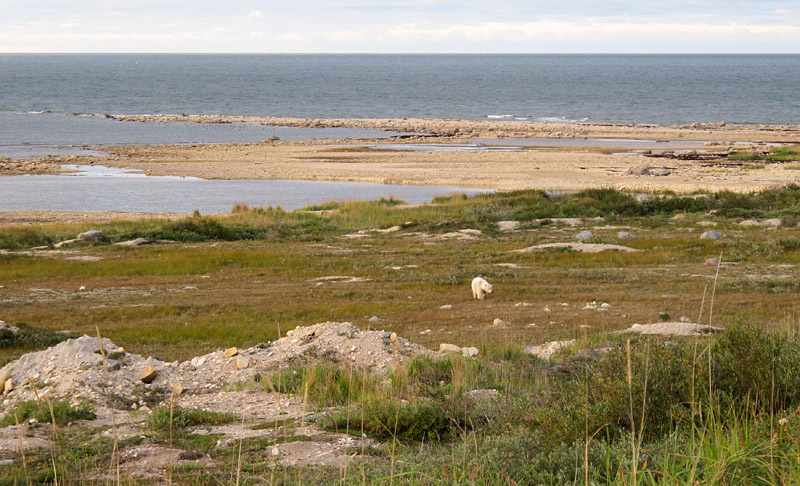 The first of these would be the numerous outcrops and quarry pits spread through the large cove that we call Airport Cove (for the obvious reason that it is immediately north of Churchill Airport). Yesterday evening we took a drive to town, and on our way back we were going past the cove when a fellow headed the other way motioned to us to stop and exchange information (they do this often here). 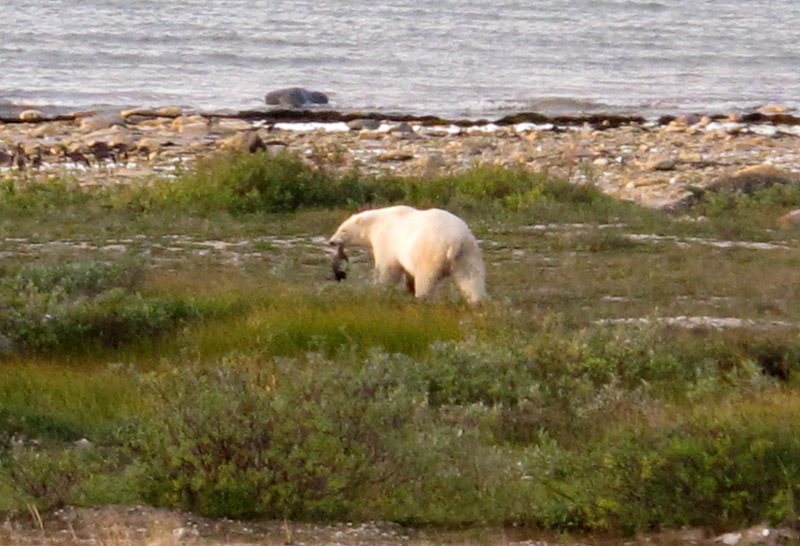 He told us that there were four polar bears in the cove. Bears are seen frequently around here at this time of year, but nevertheless, four at once is not all that common. We were excited about seeing the bears, of course, but I also greeted this news with some trepidation, thinking what it would be like to be on foot in the cove under such conditions. 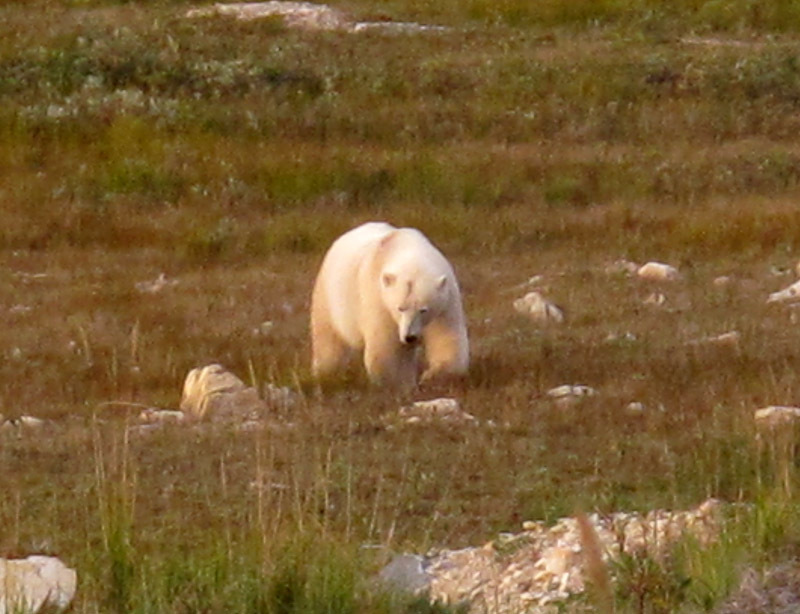 We were able to watch all four bears, but the photos here are of the one that we viewed closely over quite a period of time. He was a huge animal, and very lively in the cooler weather at this time of year. We were entranced to watch him stalk a goose, and then chase and catch it before it could take flight! His tremendous speed and agility were wonderful to see in a creature that weighs as much as a holstein cow, but frightening to think about in the context of fieldwork at any distance from the vehicle. The bear seems proud of his goose, like a dog with a bone. Fortunately today worked out well. We saw three bears (again), but one was from the safety of the vehicle, and the others, a mother and large cub, were a safe distance away. 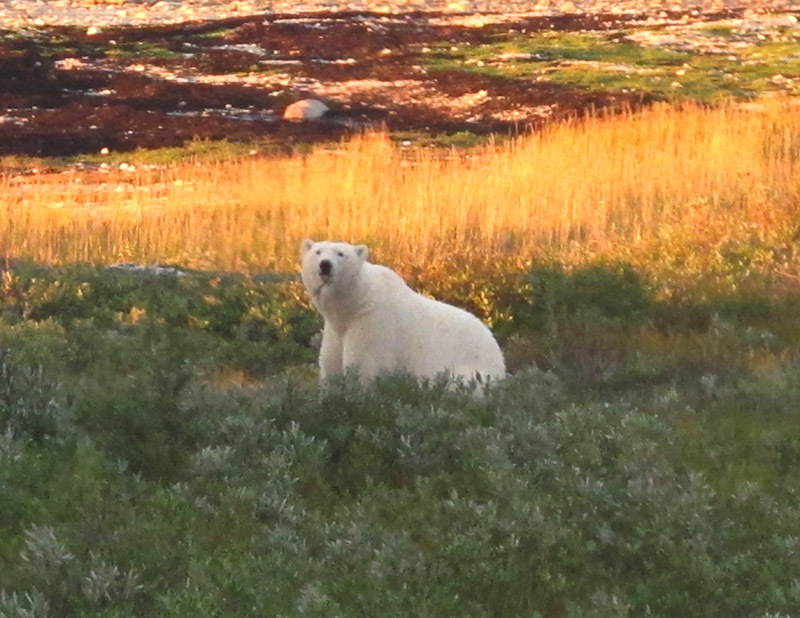 Still, we will remain vigilant for the remaining work days up here – we may spend evenings looking for bears to watch, but in the day we will be watching for bears! Airport Cove may be a big place, but even a single bear seems to fill it quite effectively. Mario, yes, they are immense. What an experience! Great shots. Hi Graham! Great pictures of a truly magnificent bear! 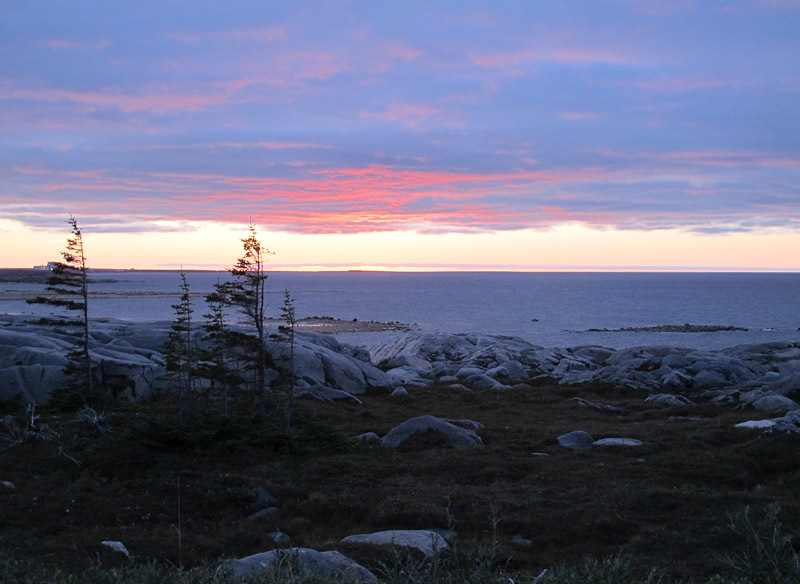 The last photo (of trees) features an excellent example of the “Krumholz effect, whereby, the branches of the conifers in the region, tend to grow on the leeward side of the tree, away from the icy winds of Hudson Bay. The grain elevator is barely visible through the branches of the left side of the photo. It all calls bak memories of my childhood again! I would like to go back for a visit sometime…before I get too much older! Much peace. Graham, as always, such wonderful photographs! 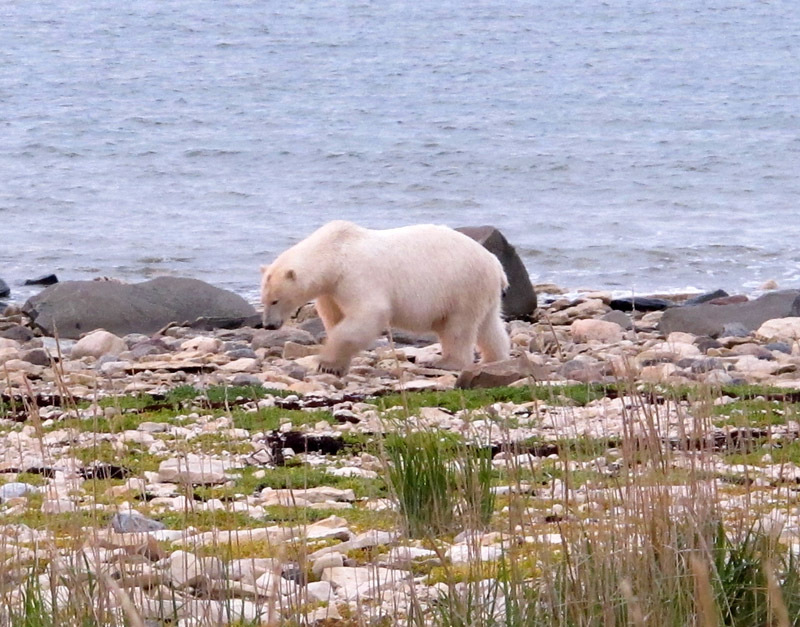 Thanks for sharing these images of Ursus maritimus! Dave, many thanks for your comment. 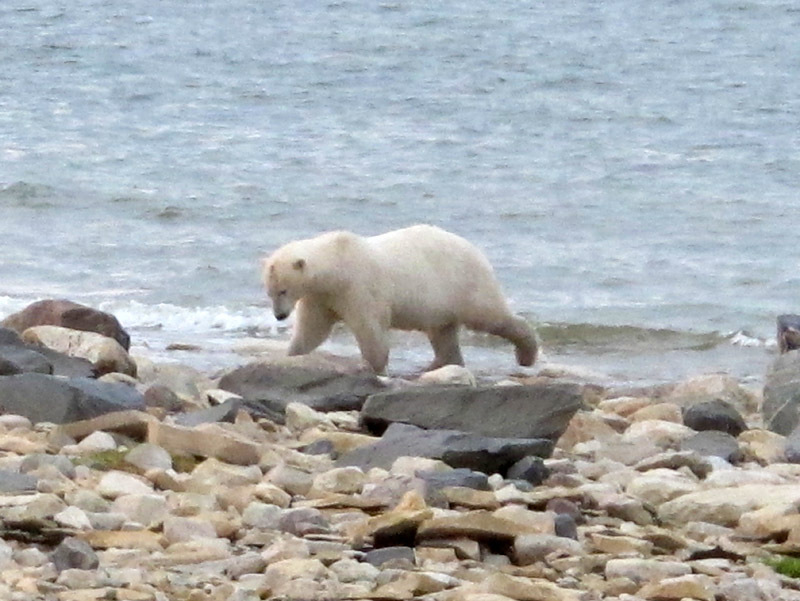 Sadly, Polar Bears have become endangered due to environment change and global warming. They receive less attention and popularity than the Giant Panda as the latter is being used as money making and political tools.